Yr Hen Ffald is a single storey cottage near Pontarddulais in Carmarthenshire. It has three bedrooms comprising of two double bedrooms and one twin bedroom as well as a family bathroom and a shower room, it can sleep six people. Also inside you will find a kitchen diner, a utility room, sitting room with an electric fire and a garage for bike storage. Outside is a side gravel area with furniture and a rear lawn with furniture. 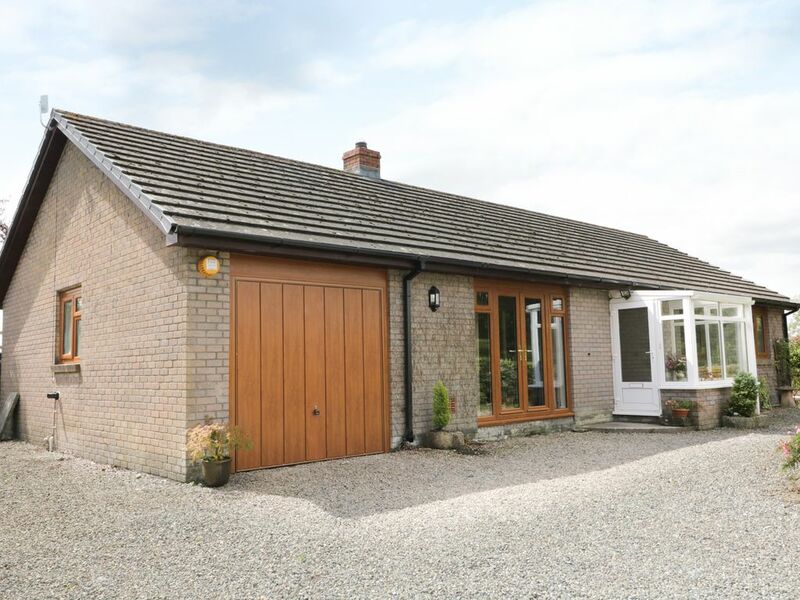 Yr Hen Ffald is a spacious bungalow in a great rural location. Amenities: Oil central heating, electric fire. Electric oven and ceramic hob, microwave, fridge, freezer, washing machine, dishwasher, TV, WIFI, selection of books, games and DVDs, snooker table (not full-size). Fuel and power inc. in rent. Bed linen and towels inc. in rent. Travel cot and highchair on request. Ample off road parking. Lockable storage. Gravel side garden with furniture and rear lawn with furniture. Sorry, no pets and no smoking. Note: Owners happy to arrange grocery deliveries. Note: Owner can provide ramp for limited mobility guests. Town: Pontarddulais offers shops, tea rooms, restaurants and pubs, a park with tennis courts, it also has a male voice choir. Pontarddulais is located 10 miles from Swansea, where you can enjoy the theatre, cinemas and shopping centres. Swansea is also home to a leisure centre (LC2) and the Liberty Stadium. Llanelli is 9 miles away, where you will find Parc y Scarlets, while a few miles further is Pembrey Country Park with a cycle track along the valleys and beaches. Venture a little further to The Mumbles and the Gower Peninsula with its beaches and cycling, walking, horse riding and golfing, with surfing at Llangennith. Head north to the Black Mountains and the Brecon Beacons National Park with castles, caves and waterfalls. Approximately 16 miles west is Carmarthen, the gateway to mid-Wales. A perfect location to discover this beautiful part of South Wales. Oil central heating, electric fire. Electric oven and ceramic hob, microwave, fridge, freezer, washing machine, dishwasher, TV, WIFI, selection of books, games and DVDs, snooker table (not full-size). Fuel and power inc. in rent. Bed linen and towels inc. in rent. Travel cot and highchair on request. Ample off road parking. Lockable storage. Gravel side garden with furniture and rear lawn with furniture. Sorry, no pets and no smoking. Note: Owners happy to arrange grocery deliveries. Note: Owner can provide ramp for limited mobility guests.